At Shop With Us, we take pride in discovering cozy, chic finds to complement our fall lineup. While we have plenty of comfy toppers to choose from, we always seize the opportunity to add a fashionable coat into the mix. So, once we spied this elegant wool number cruising the Saks Fifth Avenue Friends & Family Sale racks we just had to share. 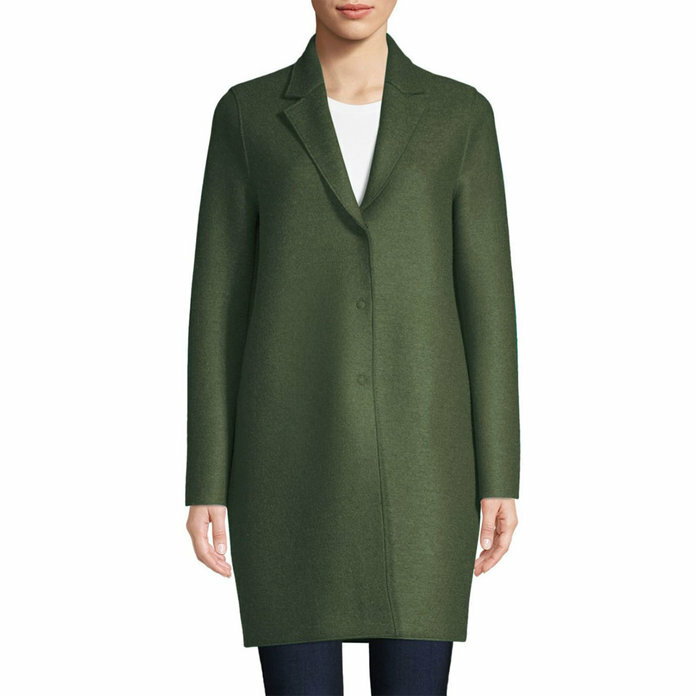 See It: Grab the Harris Wharf London Virgin Wool Cocoon Coat at Saks Fifth Avenue for 25 percent off the original price of $535, now $401.25. The Harris Wharf London Virgin Wool Cocoon Coat is made of 100 percent pressed virgin wool and features a notched collar, long sleeves and a straight silhouette. Great for layering over your ensembles, we can wear this piece open or closed thanks to its concealed front closure. Available in an on-trend dark green hue, this garment will easily mix and match with all of our cold weather essentials for a fall-ready ensemble. For days when we want to flaunt a soft shade, the ecru hue is just the ticket. Normally retailing for $535, we can score a cool 25 percent off, for a $401.25 price tag. A great way to save a few dollars on a cozy find, this piece is worth the investment. With sizes 2 to 12 currently available, we are excited to add both shades to our shopping cart. An ideal coat to team with our work attire, everyday style, dressy outfits and more, we look forward to getting tons of wear out of this fabulous find. Ready to shop? Head on over to the Saks Fifth Avenue Friends & Family Sale to score 25 percent off select styles! Who doesn’t love a good deal?